Triumph Motorcycles has just now launched their Indian website and shows the lineup available for sale in India. 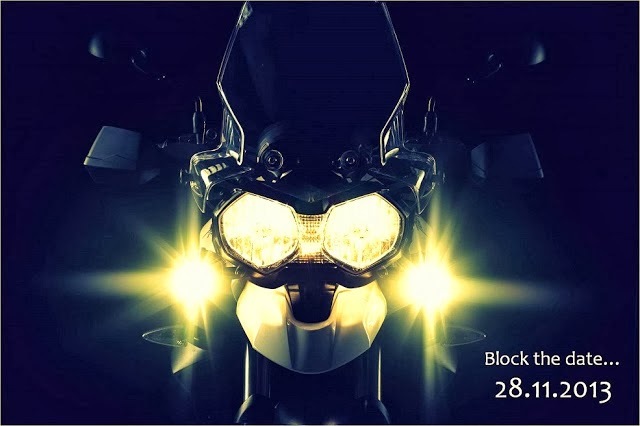 While we already told you a couple of days back that the bikes from Triumph will be launching on 28th Nov 2013 and here we are with lot more details. The Indian website of the UK based manufacturer shows the list of bikes with all their details. We am sure there would be lot of Triumph fanatic people available in India, they can now pamper their senses by checking out the specifications and the list of vehicles available in India. However, the only thing missing on the website is the price of these vehicles which will be unveiled during their launch date - 28th November 2013. Recently we also spotted their first dealership coming up in Bangalore, and provided the images of the showroom before it opens. This will be first showroom of Triumph in India and more would be opening up in New Delhi, Chennai and other cities as well. The company has appointed Mr. Vimal Sumbly, former General Manager of Sales at Bajaj Auto, as the brand head in India. The bookings have already been started unofficially and the same could be booked by depositing Rs 5 Lakh to the dealer.